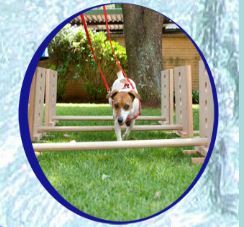 2007 Received a Certificate through ThinkingPets as an Advanced Puppy and Adult Dog Training Instructor. 2009 I have my own Animal Hydrotherapy and Rehabilitation Practice since March 2009. 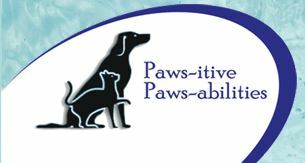 At Paws-itive Paws-abilities we realize that whilst puppies are a lot of fun, they also need basic training and the establishment of routines in order for them to fit in well with their human families. To this end I offer Puppy Socialization and Basic Obedience classes in a safe and supportive environment. Puppy socialization encompasses introducing your puppy to as many different Situations, people and other puppies as possible, always in a positive and non-threatening manner, to help them cope better with the things life will throw at them. Basic obedience is taught using positive reinforcement methods (no punishment or forced exercises) - Clicker training and TTouch. Puppy owners will be taught how to train their puppies to come when called, to sit, to lie, down, to stay, recall, walking on a loose leash. I also introduce the pups to a basic confidence course where they learn how to negotiate some obstacles by themselves. Added to this, some fun things like shake hands, roll over, crawl etc. I can also help you through many common puppy “problems” like house-training, chewing, barking, jumping up etc. We welcome the whole family to come and learn to manage puppy behaviour with effective methods of motivation.